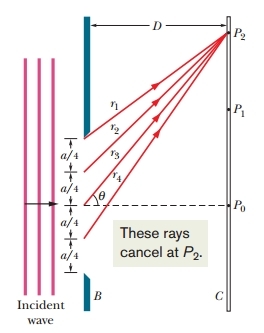 At this point, I don't understand why those rays can meet at such point P. Because, as the 1st picture an Huygens' wavelets, at first those light rays are parallel and then after it goes past through a narrow opening, it flares, but does not come to on point as the direction of the 1st picture. To be more clear, how can those light rays that diffract/diverge converge at one point like the 2nd picture? Let's examine more attentively what says Huygens' principle: that each point on the wave-surface that gets inside the slit, becomes a source by itself, emitting around itself a spherical wave. As see that you work in the 2D geometry, but 3D is better (I got once an explanation why but I don't remember right now). Anyway, each point on the wave-surface inside the slits emits a spherical wave, and your drawings only show the envelope, of all these spherical waves. See in the picture that I inserted the pink envelope. So, from each such spherical wave, a ray goes to the point $P_0$, another ray to the point $P_1$, still another to $P_2$, etc. In short, each point on the screen gets a ray from each point of the wave inside the slit. The way your pictures show is only one-way of explaining why we see the pattern on the screen. But you are right. It does not make much sense. Because interference is a non-localized phenomenon. If you think the rays arriving at point P you will get confused. It even fails to obey the conservation of energy, if you think about constructive and destructive interferences. Because if you think a constructive interference is an interference of two waves at a point P that cancels out each other, what is really canceling out. If they are somehow canceling out how can they suddenly reappear at the point where they have constructive interference? One way to explain what is happening is to assume that interference is just an energy redistribution process. And it just happens the way it happens. There is no intuitive way to explain this in terms of waves. Hecht says, interference is is one of the most fundamental mysteries in physics. Another way is to treat light as Feynman does, as particles. To understand this better you can read Hecht's optics book edition 4. section 4.11 Photons, waves, and probability. Not the answer you're looking for? 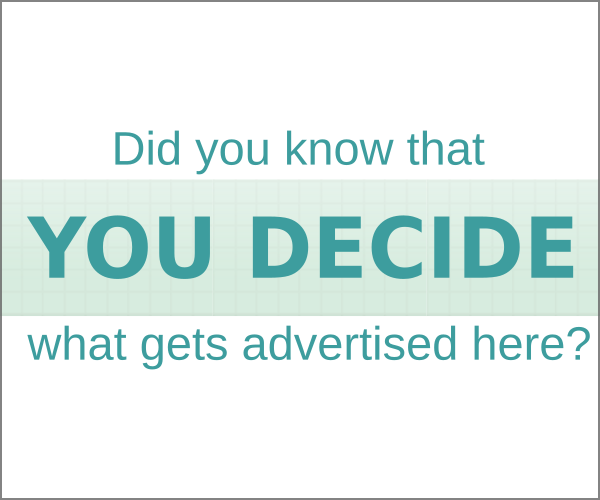 Browse other questions tagged waves diffraction or ask your own question. Interesting relationship between diffraction and Heisenberg's Uncertainty Principle? Intuitive explanation of Huygens construction?